Federal-Mogul is an innovative global supplier of quality products, trusted brands and creative solutions to manufacturers of automotive, light commercial, heavy-duty and off-highway vehicles, as well as in power generation, aerospace, marine, rail and industrial. However, they were not well known amongst university students. 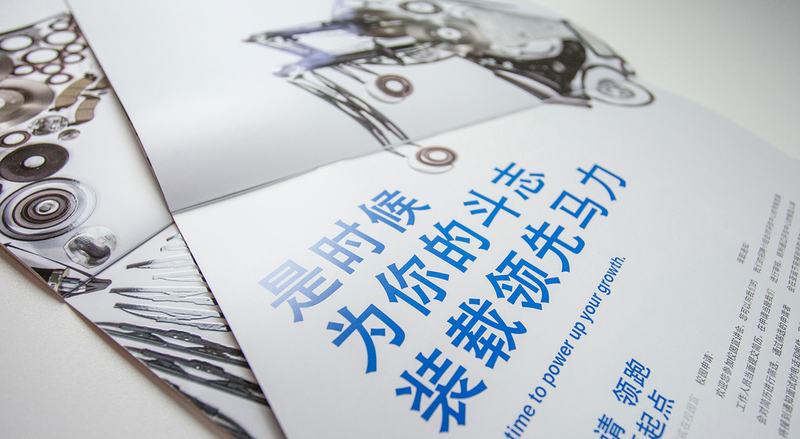 With this in mind, Federal-Mogul came to us with the challenge to make their creative image stand out to attract and hire fresh university graduates from top universities around China such as Tongji University and Shanghai Jiao Tong University. We see challenges as opportunities. And because the young graduates have their own characteristics, such as fun loving, creative and showing off their individuality, we knew we had to come up with something to make the auto parts seem less rigid and cold. These young graduates are generally more active and dare to express themselves. 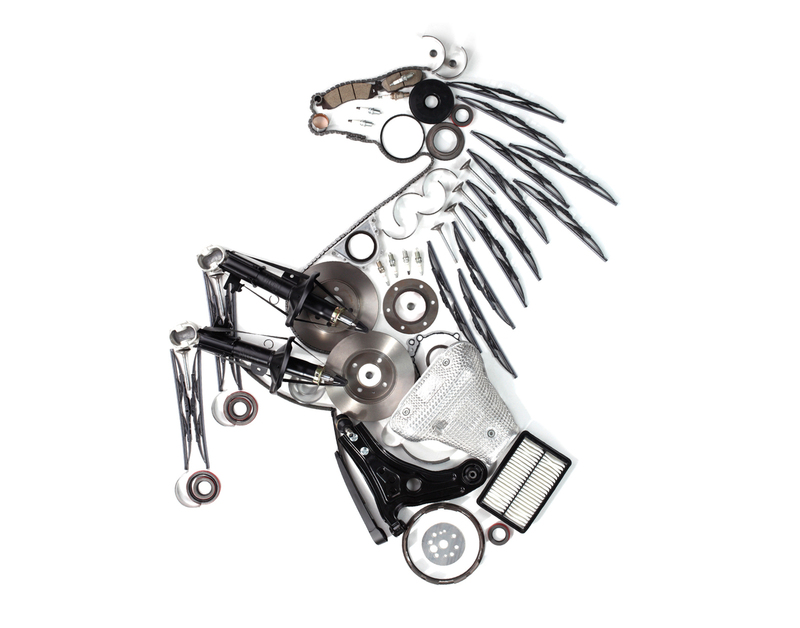 So we decided to satisfy their nature by giving them a chance to play with their creative using Federal-Mogul parts. Federal-Mogul has a wide range of amazing auto parts, so we used them to create high impact visuals in our posters to attract and introduce students to Federal-Mogul and their EVP, eventually leading them to our dedicated careers site. 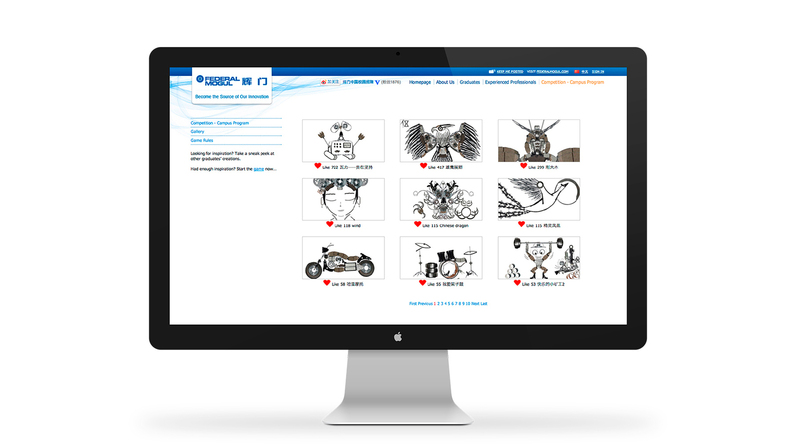 Once on the site, they were met with an interactive online game where they could learn more about Federal-Mogul’s products by using them to create their own work of art. They could even share their masterpiece on different social media. And at the end of the fun experience, they could apply to attend campus talks and fill in an online application form for the job of their dreams. Page views hit up to 58,000 attracting 5,698 applications and a lot of the students fed back that the interactive careers site gave them an advantage when it came to the campus talks. The targeted students better understood Federal-Mogul and its products, and felt closer to the brand after taking part in this campaign by submitting job applications.